Replacing your home’s windows is something that can add value to your property while also allowing you the opportunity to get energy savings and a return on investment over time. New windows can simultaneously improve the appearance of a home and increase its energy efficiency. Unless you have prior experience with window installation, it is easy to underestimate the scope of the task at hand. Removing trim takes careful technique in order to leave the interior walls undamaged. Furthermore, the physical removal of the old windows can be a big job in itself. The removal of the old windows, however, is truly still the easy part. 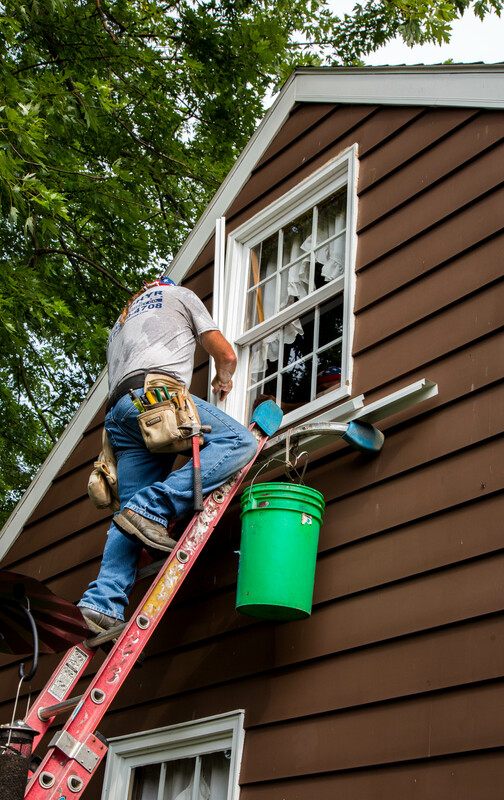 Plenty can go wrong for the first time DIY-er when it comes to installing the replacement windows. Windows that are not shimmed correctly can either open hard or fail to open at all. Furthermore, windows that are not installed square or are twisted can have issues with alignment of latches and closures. DIY installers who choose to seal windows with spray foam run the risk of inadvertent and accidental over-application that can cause sashes to bow and the window to open with greater difficulty. All of these installation issues result in windows that will be more difficult to use, deteriorate faster over time, have air leaks, and can cause damage due to moisture among other issues. Unless you’re an experienced home improvement contractor with plenty of experience for installing and replacing windows, it’s generally better for your home, and your wallet in the long run, to leave this home repair to the professionals. Depending on the size of the home, replacing windows isn’t a cheap endeavor. However, the saying “you get what you pay for” should have been coined for replacement windows. While looking at price points can be a legitimate consideration, it should never be the only consideration. Quality replacement windows can last for decades, so selecting the windows that are going into your home should never be a short-sighted endeavor. In fact, the money you save today on lower quality windows very well may cost you thousands of additional dollars over the life of the window. Higher quality, double hung windows offer superior temperature regulation and insulation to the home. Some windows even contain argon gas, which is denser and has high insulation efficiency than air. A cheap set of windows that feature lower quality components and craftsmanship usually don’t prove themselves to be the best choice for either longevity or savings. When choosing windows to replace their existing windows, some homeowners will feel the natural propensity to gravitate toward the same quality and style of window that is currently in their home. While this is a logical approach in many ways, it’s a good idea to consider whether the windows you have are, indeed, the windows you need. It can be beneficial to consider an upgrade that may cost just a fraction more per window than the cost to replace your existing windows with more of the same. Upgrading to a higher quality window than what you currently have can make a big difference in energy efficiency and long-term savings. If you have to take on the cost of replacing your windows anyway, it’s the perfect time to consider an upgrade or a change in style and appearance to get a fresh look, increase energy efficiency, and, most importantly, get the windows you want and your home needs. 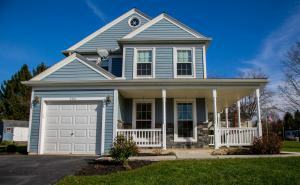 Oftentimes, it is easy to overlook the effect windows can have on the appearance of a home. Some windows may feature smudge-resistant coatings that keep quality glass always looking clean and clear. In addition, the style of window you choose, or whether it has a grid or grille, are just a few of the subtle things that can make big changes to the aesthetics of your home. It’s important to consider how a window will function and the benefits it provides to your home. It’s also important to consider how the windows will look in your home. When looking for replacement windows, choose wisely when making your selections, and be sure to get some help from a professional with experience. There are so many window options available that it can become overwhelming to try to decipher what is the best value for your home or which replacement windows are the most compatible with your regional climate. Knowing how to shop for new windows is important, but it’s only part of the process – partnering with the right home improvement contractor takes care of the rest. If you are looking to replace the windows in your home and need some additional guidance to make a better-informed decision about the investment, contact us at 717-399-4708 for a free quote or stop by our showroom to get inspired!